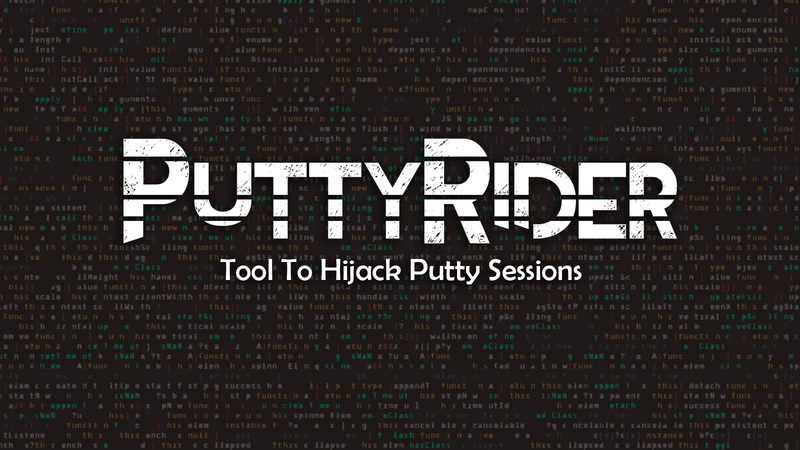 PuttyRider is an open source tool to hijack Putty sessions in order to sniff conversation and inject Linux commands. -p              PID  Inject only in existing Putty session identified by PID. -f              Write all Putty conversation to a file in the local directory. Inject DLL into the first found putty.exe and initiate a reverse connection from DLL to my IP:Port, then exit PuttyRider.exe. Run in background and wait for new Putty processes. Inject in any new putty.exe and write all conversations in local files.